HAPPY NEW YEAR EVERYONE! I hope you're all doing fabulous. To ring in the new year, I've got some good news! Well, it's official! I'm announcing the release of Courage of The Soul anthology. Isn't the cover lovely? It includes my essay titled, "Changing Roles." 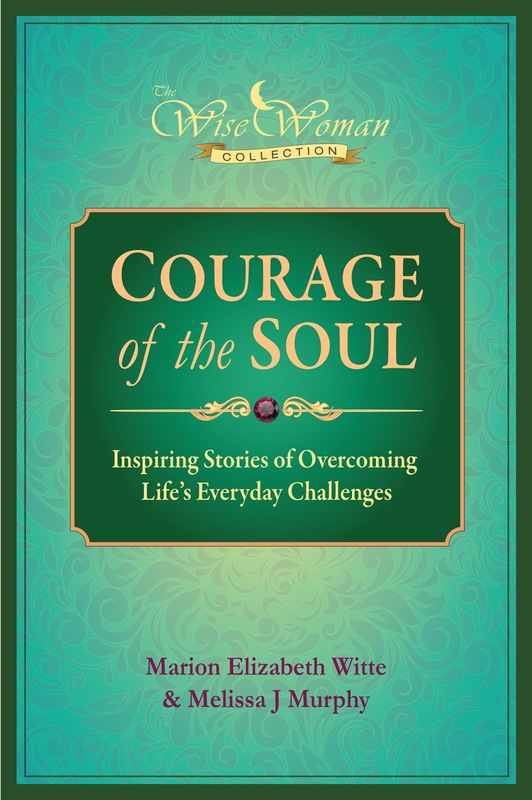 Publisher, (and all around fabulous person) Marion Witte, has joined with Melissa J. Murphy to produce an inspiring collection of true stories on dealing with life's difficulties. Stories are group into several categories including, "Hope and Inspiration," "Courage and Bravery," "Goals and Ambition," "Relationships," "Health and Healing," "Childhood Adversity" and "Loss and Grief." I haven't read it yet so I can't offer a review but it's next on my list. Marion has graciously provided me with print copies to share with my readers. If you're interested in receiving a copy, please leave a comment below and I'll randomly pick 3 winners. 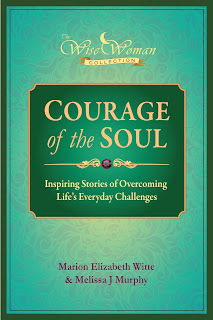 If you're interested, click on the Courage of the Soul cover image on the side bar to learn more about this anthology, The Wise Women Collection and Wise Owl Publishing. I think a giveaway is a fitting way to say hello to 2013. Dear Grace ~ Courage of the Soul ~ What a wonderful title. Congrats on having a writing in this book. I just clicked on the link then read the sample writing. Oh my, this ought to be a wonderful book to read. May 2013 be a wonderful year filled with much love, joy, health and many blessings. I enjoy your writing and would love to read your essay. The cover of the book is very beautiful and tastefully designed. I hope I can get a Word Verification I can get accepted. I have mild dyslexia and these things always trip me up. It is why I comment less on some blogs. Happy New Year, Grace! And congratulations on being a part of the collection--that's exciting! And thanks for holding a giveaway. Well isn't this the way to start of a New year? I am so happy for you. And yes the cover is gorgeous! Congats my friend! This looks like an interesting book to read. Congratuations. You are on a roll m'lady! so proud of you and your work. I was just thinking about you and the New Year, and now here you are. Yay! How exciting to hold it in your hands! I'd be honored to do the same. :o) Thanks for a shot at the title - although, winner or not, I look forward to reading it. How exciting Grace...looking forward to reading your essay and the book!! Great days ahead as a published author. Kudos to you for sticking with it and honing your craft. I went to the publisher's site. So interesting. I found feeling wise came upon me quite suddenly. Is it a normal part of the aging process I wonder? If I don't get a freebie I will be buying it anyway and some of the others too. Grace, I can't imagine how you will choose, but I would love a copy of this book. Congratulations to you! Grace!!! It's wonderful! Congratulations! What a great beginning for this year for you! I am very-very happy for you, dear Grace! This is a banner year for your writing and being published and I am very proud to know you as a friend! You are always so sweet and encouraging for me .. I so appreciate you and this is a wonderful way for others to see a side of you that should be recognized.